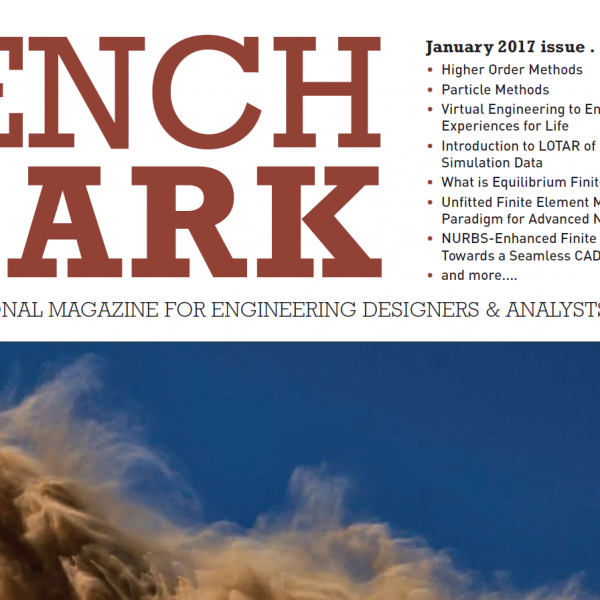 History and Use of High Order Finite Element Methods in Professional Practice | ESRD | Engineering Software Research and Development, Inc.
Abstract: Whenever engineering decisions are based on the results of numerical simulation there is an implied expectation of reliability. 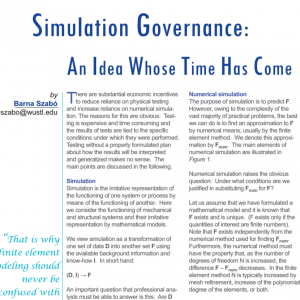 Without such expectation it would not be possible to justify the time and cost of a simulation project. If simulation produces misleading information then it has a negative economic value with possibly severe consequences. 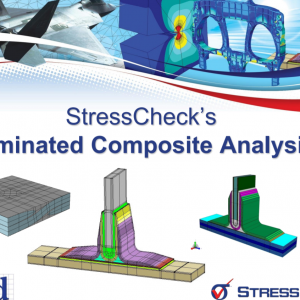 There are many well documented instances of expensive repairs, retrofits, project delays and serious safety issues arising from lack of quality assurance in numerical simulation. 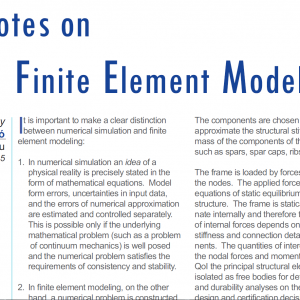 A new NAFEMS publication addresses the importance of credibility in numerical simulation from the perspective of management. Category: Simulation Technology. 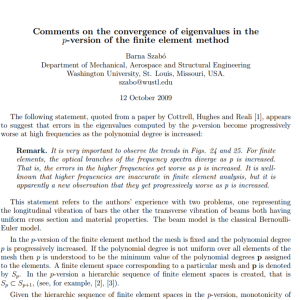 Tags: Numerical Simulation, Theory.